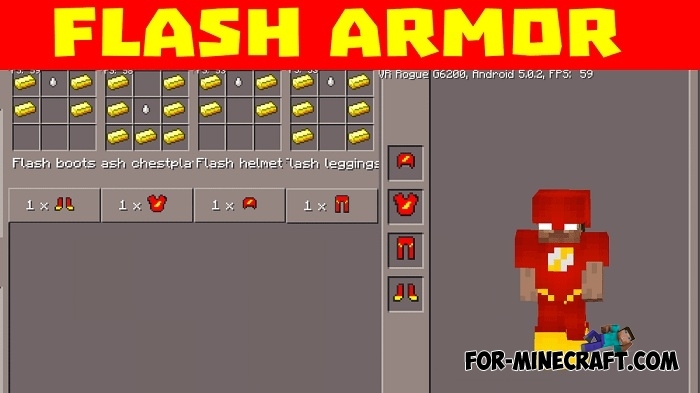 Players want something really cool, regular armor is not as interesting as before. Special Armor mod is exactly something that is so necessary in the game. There are 6 different armor sets that have special characteristics. If you need updated swords, then download Elemental Swords mod. 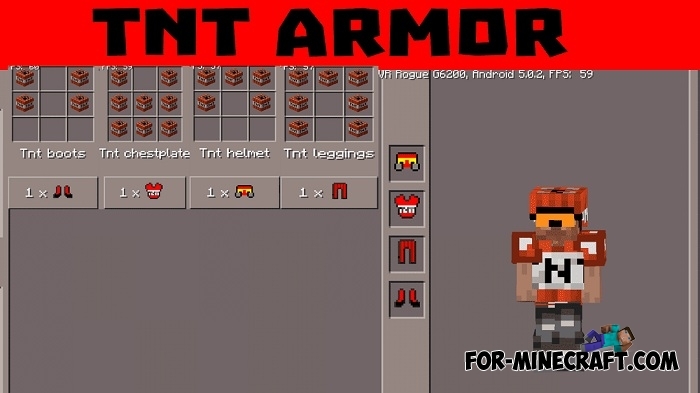 All the new armors are in inventory of creative mode. If you play in the survival mode, below you can see all the crafting recipes for each type. I think is easy to guess, you can breathe under water any time. 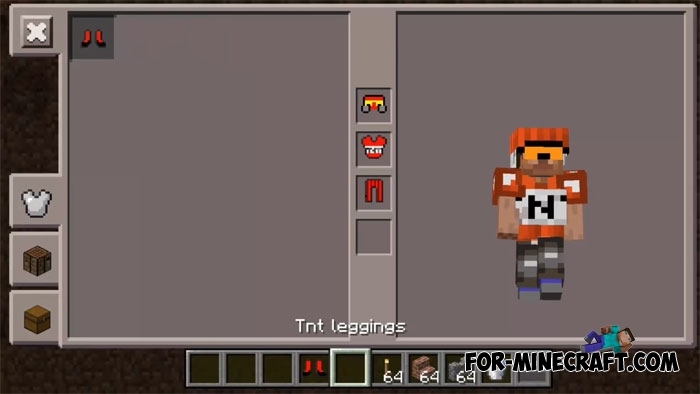 Your enemy will burn if you dress this armor. Also, you get fire resistance effect. Your speed will increase by several times. It is useful during long hikes. 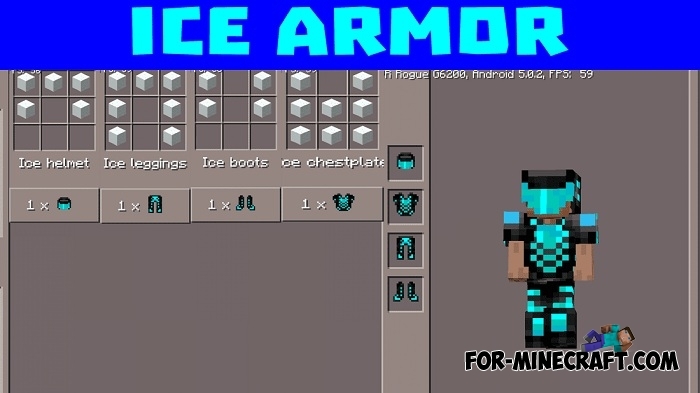 This armor type can freeze an enemy. Craft it if you want to jump even higher than before. 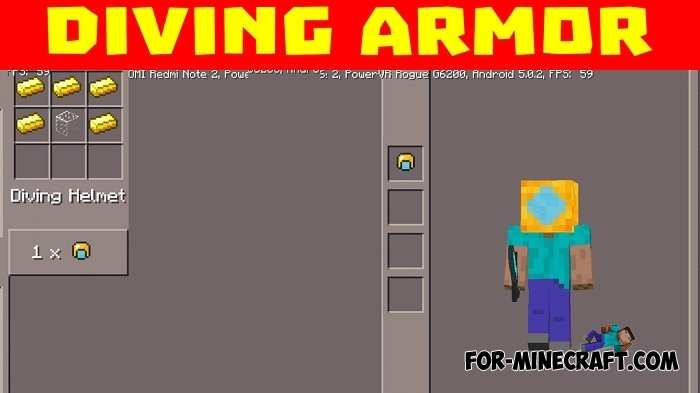 With this armor your enemy gets double damage. 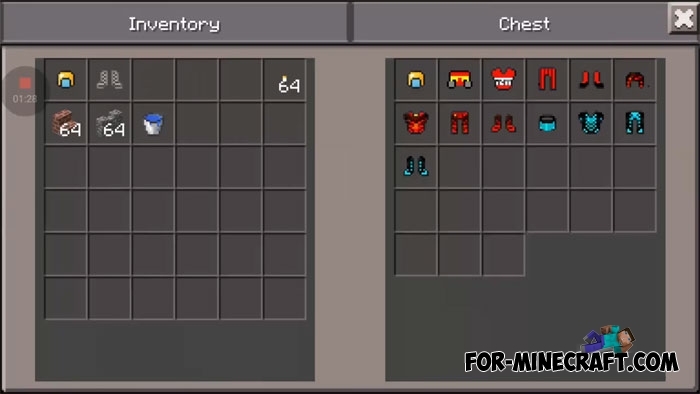 As you can see, each armor set is unique and can be useful in any situation. In addition to all, it looks pretty good. Open BlockLauncher and click on the wrench at the top of the screen. 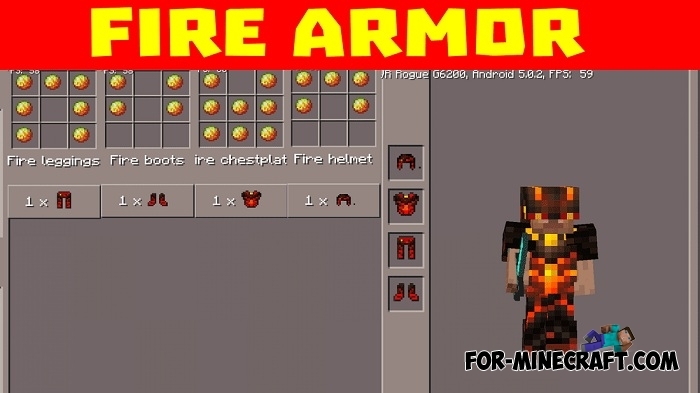 Select ModPE and open Especial Armor.modpkg.